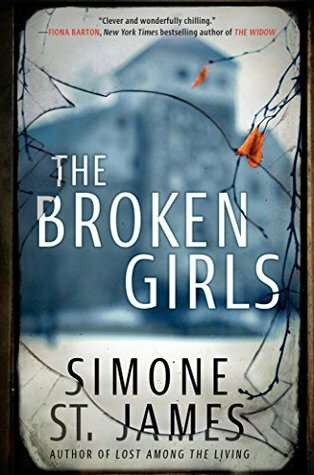 The Broken Girls was one of the first books I received from my Book of the Month subscription. And I finally just got around to reading it (make that, listening... because I actually ended up renting the audiobook from the library despite having the book in print). And while I really enjoyed it, I did feel like it didn't fully meet my very high expectations. There are several different mysteries and a lot of separate story lines to sort through. And I was all in for the first 75% of the book. Like completely engrossed and couldn't put it down. But unfortunately, I felt like the ending was a tad disjointed and all of the stories didn't connect for me. I was waiting for some earth shattering moment in the end that answered all the questions, or some magnificent twist that knocked me off my socks. And it just didn't happen. The ending was fine, and I didn't dislike the book by any stretch of the imagination. It just didn't blow me away. I think many people would thoroughly enjoy this one. Actually, I know they would because the reviews on Goodreads are stellar. So don't let me review deter you. Read it for yourself. And if you want to wait a while to pick it up, it would make the perfect Halloween read! Sign into Goodreads to see if any of your friends have read The Broken Girls.